In my ongoing effort to understand crystal radios and the theory that makes them work I have recently began looking into all things capacitance. 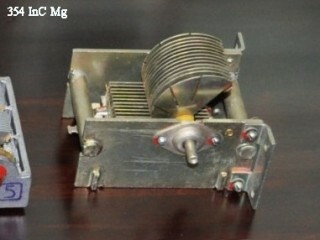 The tuning capacitor is, next the coil itself, the principal component of the set. Since few builders fabricate their own tuning caps I suppose one takes them a bit for granted. 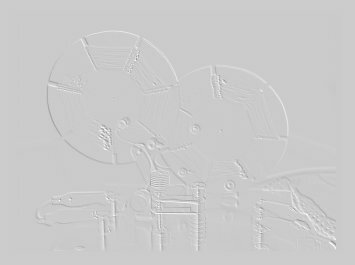 I have been reading on the radio forums some threads concerning radio Q and the subject of the variable cap Q seems to be getting more attention. So, what is the deal? 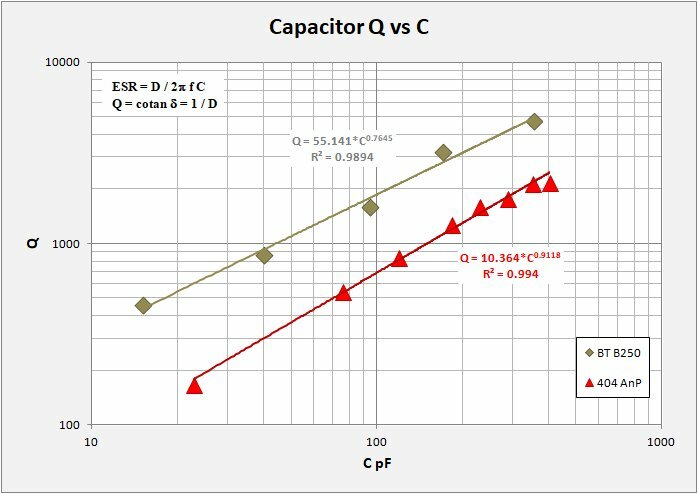 I set about my study by gathering what I could find on the web concerning capacitor Q. The result was, not a whole lot, at least not for air-variable capacitors. The exception comes from Ben Tongue (not surprisingly) and I wish to extend special thanks to him for providing, as usual, essential measurements and background in his Article 24. The plots below show capacitor Q versus capacitance, and versus frequency for a small number of air-variable capacitors that I have in the box. Note that I made all my measurements with a calibrated inductor coil (236 uH at 1 Mhz) so the capacitance and frequency are related to each other by the resonance equation: f = 1 / 2pi sqrt(LC). These are simple plots with log Q versus log capacitance in pF and versus log frequency in MHz. On each plot, a bit messy I admit, I show data for eight capacitors along with the Q versus f equation. You immediately see that for each capacitor the relation follows a power function and in all cases the function is good to R-squared at or above 99%. Additionally, I include the same data for two capacitors presented in Ben Tongue's excellent summary. It is also immediately obvious that not all caps are created equal! 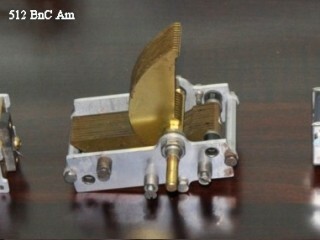 I have named the caps in the following manner, the highest tested RF capacitance, materials of interest (A = aluminum plates, B = brass plates; C = ceramic insulators, P = phenolic insulators); finally something to do with the origin. Photos of the caps at the bottom of this page. 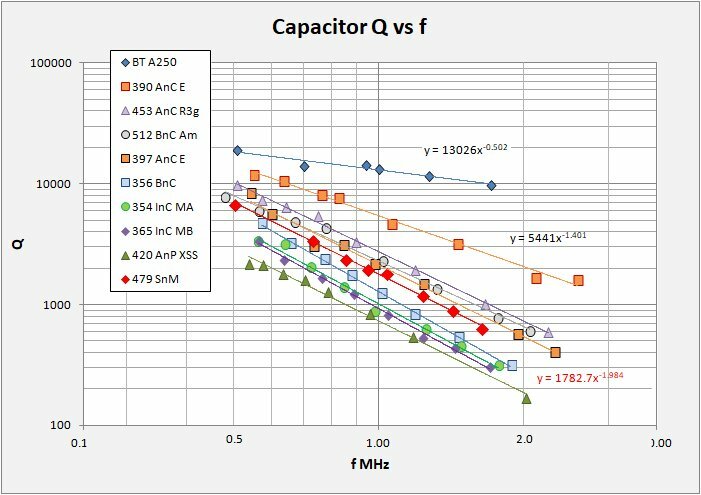 The following table summarizes the Q versus Capacitance (in pF) for each tested cap, arranged from highest to lowest quality. Any discussion of component quality needs first to acknowledge that the fight to increase the component Q is in reality a fight to eliminate (not possible) or reduce as much as feasible the resistive losses associated with that component. It helps then to look not just at Q, but at how Q relates to the component series resistance Rs or ESR. There are two fundamental equations that describe this relation: 1) Q = cotan theta = 1/D. 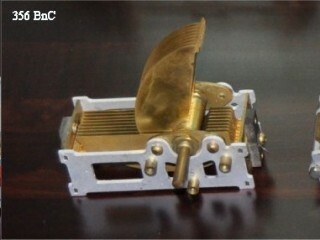 D is the dissipation factor and is an attribute of the dielectric material used in the construction of the capacitor. D = tan theta = ESR / Xc = 2pi f C * ESR. Solving for ESR we get: 2) ESR = D / 2pi f C. This equation tells us that capacitor losses expected due to resistance are dependant on both angular frequency and capacitance. It is important to remember that not all Q's are created equal. What we want is to keep the ESR to a minimum. The plot below summarizes the same data only this time plotting log Q versus log Rs (ESR). Here most of the data sets fall into a narrow zone running from High-Q / low ESR in the upper left to Low-Q / high ESR in the lower right. Ben Tongue's Holy Grail cap sits above the pack with an overall narrower range of ESR from max to min capacitance. No surprises, good caps are low-loss. I have also plotted lines of Q versus ESR at 1MHz for threee capacitance values, 10, 100, and 1000 pF. These lines indicate that Q is highest at high values of capacitance independant of individual capacitor loss. Note that all the caps measured straddle the 100 pF line. 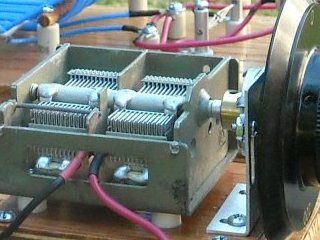 For typical MW coils with about 230 uH or so, 100 pF resonates around 1MHz. From the datasets above it can be seen that high-Q caps are high-Q across the band, but Q varies and is highest at high capacitance, (lower frequency) and vice versa. 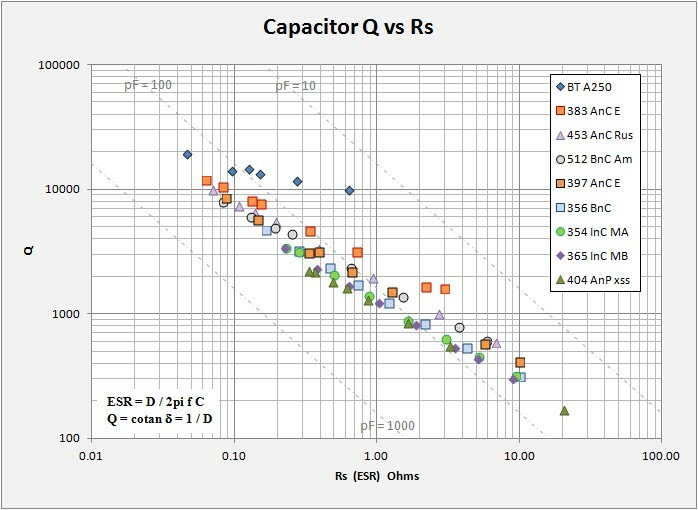 All sets show a direct power-law relation between Q and f or ESR regardless of overall quality or type of capacitor. The data table from Ben Tongue (below) was found in his Article 24 and represent precision measuremnts by Bill Hebbert. Some notes on my results. It should be immediately clear that I have yet to snag an actual "holy grail" cap such as the one evaluated by Ben Tongue. 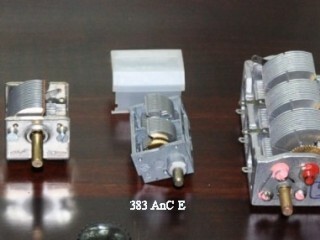 Ben's good CapA has ceramic insulated stators and silver-plated brass plates with silver-plated wiper contacts. Essential features of a good cap. Inexpensive caps often have lossy phenolic insulators, something easily noticeable before you buy, look for this. I have noticed that on some caps the stator is held by ceramic "buttons" rather than a large ceramic plate and I have to wonder how effective this is. I would say that ceramic insulation is far more available that silver plating on the plates and wipers. At the bottom end of the quality profile is the poor but readily available XSS variable cap (404 AnP). This has aluminum plates, phenolic insulation and a single aluminum wiper. An OK basic cap, but one easily beat if you are willing to make an effort. Next up in terms of quality was a big disappointment for me. These are two Chinese caps I recently purchased on eBay (354 and 365 InC). They are large and heavy units with big ceramic insulators and I figured this ought to be good. Both caps have decidedly lower Q that my vintage brass straight-line frequency caps. I do not think these will find their way into any radios here. 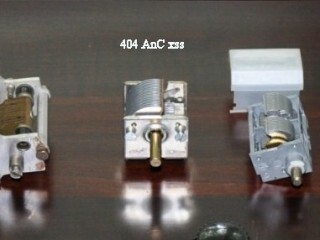 In the mid-Q range I find one brass cap (512 BnC) and two Russian caps (453 AnC, and 397 AnC). These all have ceramic insulation but no silver plating. The brass cap insulators are a black material that I call ceramic as it does not appear phenolic, but frankly I am unsure what it is. The cap is pretty good though. The two Russian caps are commonly available on eBay and are of two different styles. One somewhat large with thick "gun metal" type casing and the other a small delicate unit with a plastic dust-cover. Both are pretty good caps. Finally and best cap that I have in my box is another Russian cap (383 AnC). This cap is clearly an unused NOS unit with clean shiny parts and button ceramic insulators. This is a slightly smaller version of one of the previous caps (397 AnC). The moderate Q version was also clean and NOS, so I do not expect all such caps to be automatically good Q. It is a pity as I have seen additional of these small caps on eBay, though clearly in used condition so I suspect they will have lower Q. From all the above I would conclude that caps having ceramic insulation alone is not nirvana. Caps need also to be clean and ultimately need silver plating to truly aspire to "holy grail" status. A good reference worth looking at is a thread on The Radio Board: Improving 'Q' of capacitors. The post shows how merely taking an older cap and cleaning it up (no small task) and replacing the insulators with HDPE sheet (high-density polyethylene) can take an original Q = 664 (1MHz) and raise it to Q = 12248 (1MHz). This value is on par with Ben Tongue's "holy grail" cap (Q = 13148 @ 1MHz) and either it was a dim fine cap to start with or something not fully kosher with the measurements. Still, the point is that improvements can be significant. Images of the tested caps, same scale. A word of caution, that really great Estonia cap with the high Q seems kinda unique. I measured two additional similar caps (383 AnC EA, and 403/337 AnC EB (two gangs)) thinking I would get similar great results. What I got in fact were two mediocre results. If you plan to run out and buy these type of cap on ebay, don�t say I didn't warn you! Ben Tongue 1999, Sensitivity and selectivity issues in crystal radio sets including diode problems; measurements of the Q of variable and fixed capacitors, RF loss in slide switches and loss tangent of various dielectrics. Wikipedia, Types of Capacitors, Ohmic Losses, Dissipation Factor and Q. A short note concerning my Q measurements as compared to those of Bill Hebbert and presented by Ben Tongue in his Article 24. By some chance, both Ben's work as well as my own include a commonly available 365 pF capacitor from the XSS and elsewhere. While his cap and my own are not the same unit, their properties ought to be similar enough. Therefore it is worth to take a look ar the two datasets together. 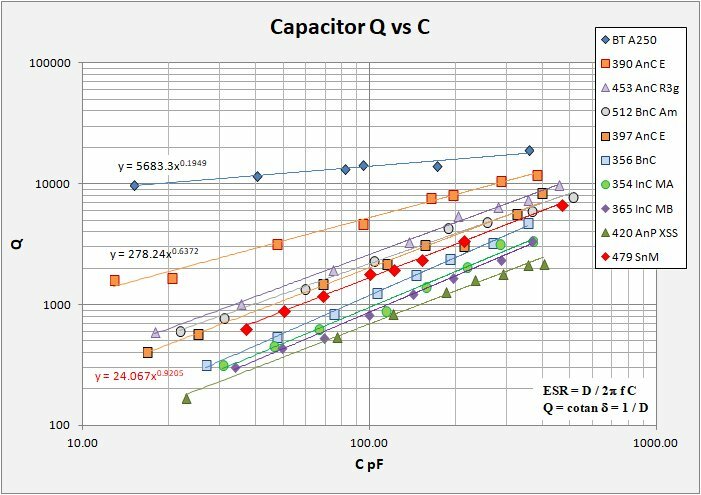 In the plot below of Q vs Capacitance I show Ben's three measurement sets as well as my own measuremnts on the same type cap. Ben's A250 (holy grail) is included just for show. 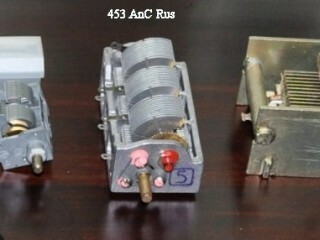 His measurements on CapB were made with two separate inductors, one with 250 uH and one with 180 uH. My standard inductor has 225 uH. On the plot I use large markers for Ben's 250 uH (B250 - dark green) and my 225 uH (404AnP - red) data. It is clear that my Q measurements are systematically lower than his. At this time I am uncertain as to whether my setup delivers lower Q measurements or if the partictular cap I measured was a bit more lossy than Ben's. This is a bit of ambiguity in my presentation that the reader ought to be aware of. Maybe my caps are better than presented? I do not know the answer but I include this plot just so you know. When looking into capacitor losses one often runs into the term "loss tangent". For many our eyes just glaze over and we read on understanding only that it has something interesting to do with theory. In the interest of knowing the code I give a brief explanation. With a perfect lossless capacitor in AC operation (sine wave) current leads the voltage by 90 degrees. Where losses occur the current will lead by slightly less than this. If you imagine these losses as a resistance in series with a perfect capacitor, then this is called Effective Series Resistance, ESR and is valid in reference to a specific frequency: ESR = D / 2pi * f * C.
The lag angle between current and voltage is generally a fraction of a degree and is expressed as a positive value. The tangent of this lag angle is the "loss tangent" and is referred to more commonly as the Dissipation factor D. For example, polystyrene has a D of about 0.0001 for a lag angle of 0.006 degrees. Good dielectrics have very small loss tangents. Why do we express loss as D or loss tangent? Well, it related to the quality factor Q such that Q = 1/D.